Wellington - Loose forward Akira Ioane is the only uncapped player named on Tuesday in New Zealand coach Steve Hansen's first extended squad of the Rugby World Cup year. 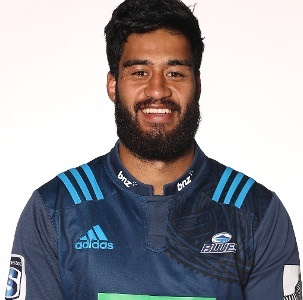 Ioane was named along with wing and brother Rieko Ioane in a 41-man squad which will assemble for the first time in 2019 at a one-day camp in Wellington next week. Despite the larger group, which indicates Hansen's initial thinking around his World Cup squad, no place was found for 36-year-old Ma'a Nonu, the former All Blacks centre who has returned to Super Rugby this season after playing in France. Flank Sam Cane, who hasn't played since last October because of a neck injury, has been named as has wing Waisake Naholo who is out of action with a knee injury. Hansen will name his 31-man World Cup squad after the Rugby Championship.